The nutrients you consume before, during and after your workout have a huge impact on your energy levels, workout intensity and recovery. This section will explain how to use food and supplements correctly to make sure you get the most out of every workout. Pre-workout meal.Think of your pre-workout meal as the "energy foundation" for your workout. This meal is going to provide your body with the sustained energy you need to make sure you can train at 100% for your entire workout. For this meal you're going to need protein, slow digesting carbohydrates, and fats. A well rounded, macronutrient rich meal. Ideally, protein would be from lean sources like fish, trimmed red meat or chicken. Good sources of carbohydrates include brown rice, potatoes, pasta, yams and oats. The carbohydrates are the most important aspect of this meal, because the slow release energy will be power your lifts. So make sure you're getting 30-60g from a good carbohydrate source. Eat about 1-3 hours before your workout, depending on your metabolism. Those with a higher metabolic rate may want to have their pre-workout meal 1 to 1.5 hours before training. Intra-workout supplements. Amino acid supplementation during your workout is a must if you want to maximize your gains and limit muscle breakdown. Consuming amino acids during training helps increase energy levels, reduce muscle breakdown (catabolism), and speed up recovery times. A good BCAA product is recommended for use during training sessions. Post-workout supplements. You could argue that post-workout nutrition is the most important meal of the day. After a heavy and intense weight training session, your body is depleted of many vital nutrients including protein, glycogen (sugars used for energy), amino acids, and important vitamins and minerals. It's absolutely essential that replace these nutrients as soon as possible to prevent catabolism (muscle breakdown) and promote anabolism (muscle repair and regrowth) and protein synthesis. At the very minimum you should consume a good whey protein powder with water. It's important that you use whey protein post-workout as it's the fastest digesting protein source. Consuming protein post-workout starts the muscle repair process and protein synthesis. You can also take advantage of the additional nutrient uptake post-workout to consume other supplements, like creatine and glutamine. 5g of each can easily be added to your post-workout shake. Additionally, to replace lost muscle glycogen and spike insulin, you can add fast digesting carbohydrates. Good examples of these are dextrose and waxy maize starch. Around 70g of carbohydrates is need for an adequate insulin spike. To recap on post-workout nutrition, your ultimate shake would be 30-40g of whey protein, 70g of carbs, 5g of creatine and 5g of glutamine. But at a very minimum, 30-40g of whey protein with water. Post-workout meal. You post-workout meal is the final stage in your workout nutrition. Like the pre-workout meal, this meal should be well rounded consisting of protein, carbohydrates and good fats. You should always get your protein from lean sources, and your carbohydrates from slow digesting sources (i.e., whole and brown foods). Outside of protein supplements, creatine supplements are the most talked about and effective muscle building and performance supplements on the planet. Creatine supplements can provide a 10 to 15% boost in overall strength, and a lean muscle mass gain of up to 10 pounds. Creatine supplements come in powder, pill or liquid forms. Because the powder form of creatine is most popular, many creatine supplements are flavored and sold as powdered drink mixes. Common flavors include grape and fruit punch. Creatine Powder. Creatine powder is the most popular, and common form of creatine supplement. Creatine powders are sold as standalone products, or are sold with flavoring powders as mixable drinks. Creatine Capsules. Creatine capsules, or creatine pills, have gained popularity over the last several years. Creatine pills are sold as either 100% pure creatine, or mixed with other supplements including vitamins and minerals, amino acids, and more. Creatine Liquid. Liquid creatine is packaged and marketed at a more easily digested form of creatine. Despite these claims, liquid creatine is not a very popular supplement. Creatine Blends. Creatine blends combine various forms of creatine, often with other supplements such as simple carbohydrates, vitamins and minerals, and herbal extracts, to amplify potency, and increase digestion and athletic performance. Take a look at the primary benefits from creatine supplementation. Extra Energy. Creatine supplementation boosts energy, allowing you to train or compete harder, longer, and dig deep when you need a big burst of energy. When you need quick energy, your body relies on a compound called ATP (adenosine tri-phosphate). ATP stores quickly burnout, and are typically exhausted after 10 to 15 seconds. 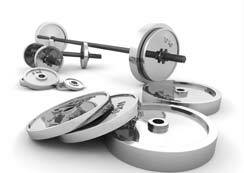 Creatine works to help restore ATP stores, preparing you to work hard again. Protein Synthesis. A recent study revealed that creatine supplementation stimulates muscle specific protein synthesis. Muscle Volume. Creatine supplementation volumizes muscles, which in turn strengthens muscles cells. With a greater muscular volume, you are generally stronger, and will carry more lean muscle mass. Lactic Acid. Creatine works as a lactic acid buffer, delaying muscle fatigue, and allowing you to work longer into sets, or harder on the playing field. Know more: How to use creatine? What is loading? Is it beneficial to stack creatine with other supplements? Get your answers from our Health and nutrition Counselors, today. Glutamine is a "non-essential" amino acid. Non-essential does not mean that it is not essential; it means the human body produces it naturally. Sixty percent of our glutamine is found in the skeletal muscle, with the remainder residing in the lungs, liver, and stomach. Glutamine has a unique molecule structure with 2 nitrogen side chains. This makes glutamine the primary transporter of nitrogen in the muscle cells. Glutamine supplementation is also to promote nitrogen retention and prevent the loss of muscle proteins. Within the first few minutes of your workout your muscles begin to release glutamine. If your glutamine levels fall too low your muscles may adopt a catabolic (breaking down) state. In extreme cases this may result in muscle loss. 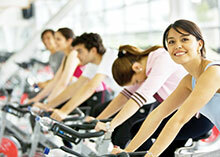 Glutamine is also largely responsible for transporting nitrogen throughout the body during intense physical activity. A positive nitrogen balance and high glutamine levels are necessary criteria in the effort to gain muscle mass. Glutamine supplements are required when the body's stores of glutamine are low. And the body's glutamine levels are at their lowest after intense physical activity. You should take glutamine as soon as possible after your workout. Most bodybuilders prefer to add glutamine supplements to their post-workout shake. Glutamine is mostly tasteless. The digestion rate of carbohydrates varies depending on the source. The scale for measuring the digestion rate of carbs is called the glycemic index. The higher rating a carb has on the glycemic index the faster it is digested. The lower it is on the glycemic index the slower it is digested. If a carbohydrate is slowly digested, the insulin spike will be more subtle and steady. Carbohydrates are the preferred source of energy for the metabolism. While the body is able to obtain all the energy it needs from proteins and fats, this does not allow the body perform and operate at an optimal level. During training the body is in a catabolic state as cortisol levels are high. Some of this muscle loss can be counteracted by consuming high glycemic carbs before and during training. After training the body will continue to be in a catabolic state until protein and carbohydrates are consumed. For this reason high glycemic carbs should also be consumed after training. The body is in a unique state immediately after training. It is much more sensitive to nutrients and protein synthesis is increased beyond normal resting levels. This is yet another reason to mix carbohydrates with your post training protein shake. Lastly, consuming high glycemic carbohydrates will replenish glycogen stores, that have been depleted by training. This will lead to faster recovery and a better workout tomorrow.